WATCH! We're Both Amused And Confused At TK MAXX's Bizarre Christmas Ad! If you're tired of the heart-wrenching, tear-jerking ads seen by John Lewis in past years then you'll enjoy this offering from TK MAXX. As the world awaits the release of John Lewis' highly anticipated Christmas advert, TK Maxx has swooped in and delivered a cracking commercial. Unlike the heart-wrenching, tear-jerking ads seen by John Lewis in past years, the discount designer outlet has denied to go down the humorous route, which is a much welcomed breath of fresh air! The hilarious new Christmas advert starts with the family singing around the piano, and just like you’d expect, the granny starts gargling on her tea and then everything turns so far left, we're confused and amused at the same time. The discount retailer’s message this year is clear: shake up the festive season with some surprising gifts from TKMaxx. It comes after Burberry unveiled their wintery mini-movie to celebrate the British fashion house's 160 year heritage. Sienna Miller and Dominic West and Lily James star in the cinematic trailer for a fictional tale called the 'The tale of Thomas Burberry', which looks into the role in which the brand's founder played in creating ground-breaking fabrics for the military, in aviation and Arctic explorers. 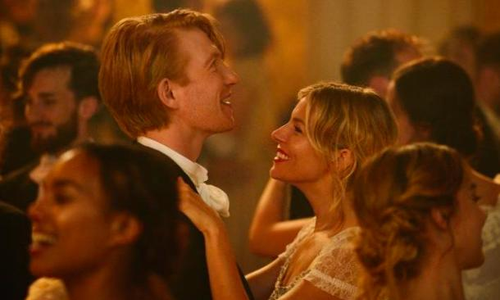 In one romantic scene Thomas Burberry, played by Irish actor Domhnall Gleeson, spots Sienna Miller getting drenched in the rain, sparking the idea for a waterproof fabric - and winning her heart in the process. 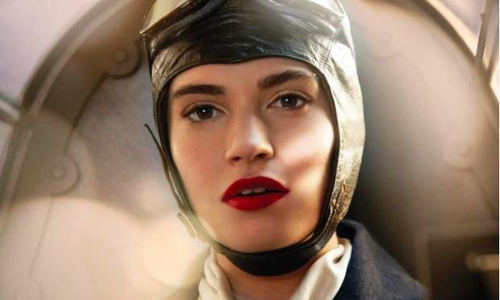 Meanwhile, 'Downton Abbey' actress Lily James makes an appearance Betty Kirby-Green, one of the many pilots who flew from England to Cape Town in 1937 who were dressed in a dying suit designed by Burberry. So who will drop their Christmas advert next? Watch this space.